First off, the winners of the Soul Sides II compilation CD giveaway were emailed this weekend, and should receive their CDs by tomorrow. As always – thanks for playing. Speaking of Soul Sides, the blog’s curator, Oliver Wang, has his own line of mix-tape CD compilations that he self releases via his merch store. 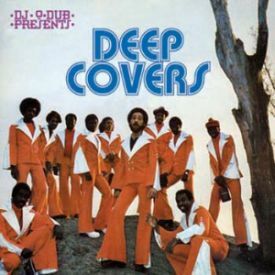 I just purchased DJ O-Dub Presents – Deep Covers and it is somehow sounds even better than the tracklist looks. The artist/song selection, cohesive sequencing and all around homemade vibe make it truly feel like that mix cassette your cool uncle passed onto you as a kid. Dig.